Driving with low blood sugar (also known as hypoglycemia) can have dangerous and sometimes even fatal consequences. Hypoglycemia can lead to a variety of warning symptoms. Early signs include sweating, shakiness, hunger, dizziness, and heart palpitations. If your blood sugar is extremely low you can develop confusion, inability to concentrate or even loss of consciousness. Severely low blood sugar impairs your ability to think and safely operate a motor vehicle — putting you at an increased risk of getting into a collision. If you’re in a collision when you’ve been behind the wheel with low blood sugar, you may be charged with a criminal offence such as dangerous operation of a motor vehicle or criminal negligence causing death. And if the courts decide you haven’t taken adequate precautions to prevent hypoglycemia, you can be convicted and even sentenced to prison. Few people know of these potentially grave consequences. When your blood sugar is low (less than 4 mmol/l), you need to eat or drink quick-acting carbohydrates like juice, regular (not diet) pop, dextrose tablets or Lifesavers candies then wait at least 40 minutes and recheck your blood sugar to see if your blood sugar has returned to a safe level (above 5 mmol/l) before you drive. If you’re ever driving and think you might have low blood sugar, immediately pull over to a safe place at the side of the road. Never, ever continue driving if you have even the remotest inkling you’re blood sugar is low. Always keep your blood glucose meter and quick-acting carbohydrates with you when you’re driving. Also, if you’re going to be driving for more than four hours, periodically find a place to safely pull over and check your blood sugar. It’s crucial people with diabetes who may experience hypoglycemia be aware of the key driving information in the Diabetes Canada 2018 Clinical Practice Guidelines. This document provides essential recommendations to keep people living with diabetes safe while driving. If you’re prone to severe hypoglycemia — when another person is needed to help you treat it — your doctor, depending on where you live in Canada, may be obligated to notify the local licensing authority, which may suspend your license until you’re considered safe to drive. Patients who drive have a duty to follow this advice. The risk of having a collision when you have low blood sugar is especially high if you don’t know when you’re low. 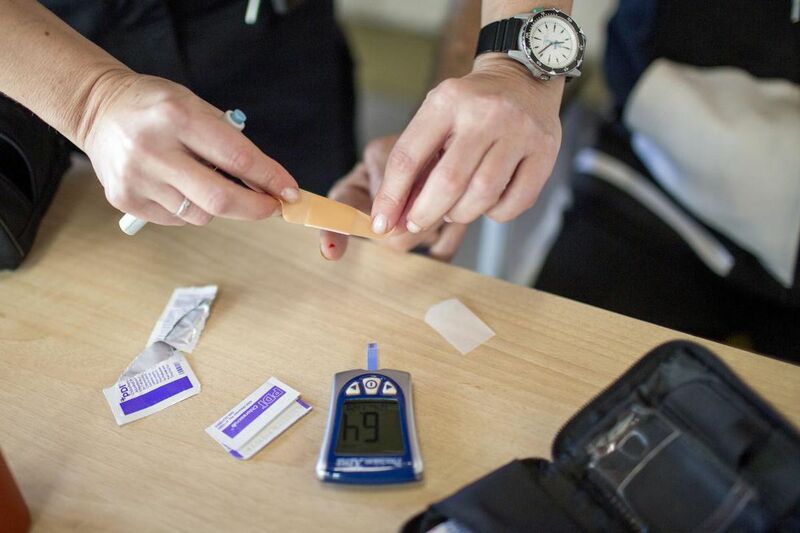 Many people who’ve had diabetes for many years, or who’ve had frequent episodes of hypoglycemia, develop hypoglycemia unawareness, in which the early symptoms of low blood sugar aren’t felt. This is dangerous because your first indication of low blood sugar may be when your ability to think clearly — and drive safely — is impaired. Hypoglycemia unawareness isn’t necessarily constant. There may be times when you readily recognize symptoms when your blood sugar is “low” but other times when the first clue you’re low is when others notice you to be confused or disoriented. If you’re known to experience hypoglycemia unawareness we strongly recommend you use a real-time continuous glucose monitor system. This is a device that automatically and continuously measures your glucose level and displays the results on your cellphone, watch, or other display. It also has alarms to prompt you to deal with impending low blood sugar before it gets out of control. Dr. Gary Lewis is a professor in the Departments of Medicine and Physiology and the Director of the Banting and Best Diabetes Centre at the University of Toronto’s Faculty of Medicine. He is also the Drucker Family Chair in Diabetes Research and Sun Life Financial Chair in Diabetes. Dr. Ian Blumer is a lecturer in the Department of Medicine’s Division of General Internal Medicine and a member of the Banting and Best Diabetes Centre. He is also a member of the board of directors and medical adviser to the Charles H. Best Diabetes Centre. Doctors’ Notes is a weekly column by members of the U of T Faculty of Medicine.